I finished a quilt! If you can believe it, this is made from my Mermaid pattern. When I set out to make this, I wanted to show how a pattern can look totally unique just by changing how you place the colors or value. For this version of the Mermaid quilt pattern, I replaced the navy blue and white solids with prints, making the clamshell shape. 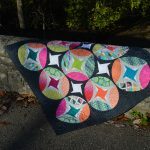 The bright colors in the original were replaced with the solids in this version, but instead of making the colorful humps, I made all the humps in a row the same fabric. This gives the wave affect you see in this quilt. 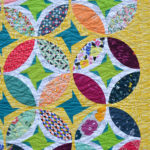 I started with fabrics from the Bountiful collection by Sharon Holland for Art Gallery Fabrics. From there I added other AGF prints from my stash in coordinating colors. I like how the big pieces in this quilt really show off the prints. It’s also super quick to cut (no templates!) and piece (big curves!) with the Classic Curves Ruler. I used Aurifil 50 wt. for my piecing and Hobbs batting is inside. 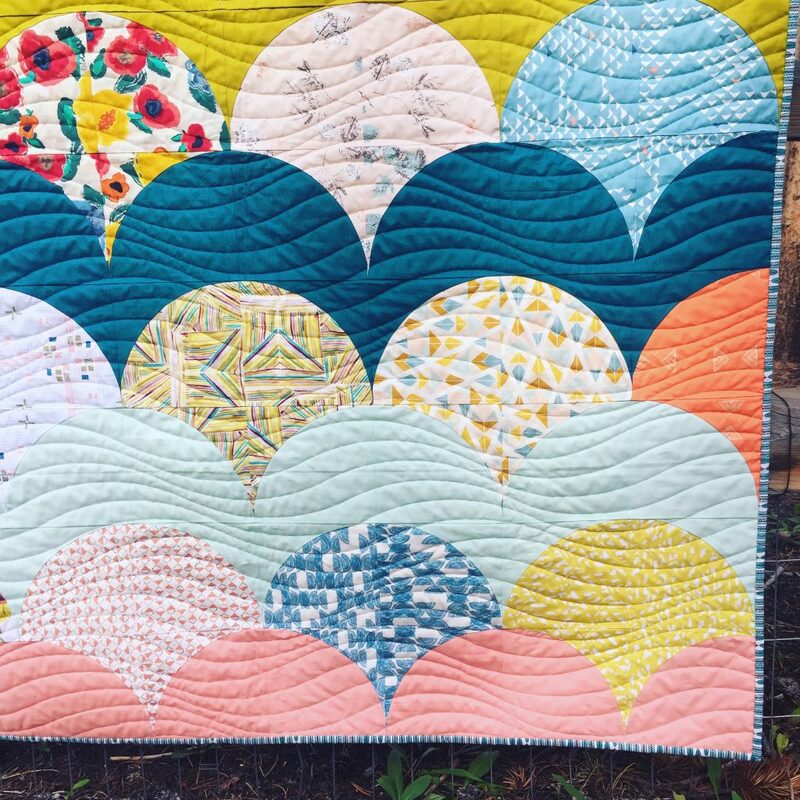 The wavy quilting (isn’t it perfect?!) was done by Darby Myers of Quilted Squid. What shapes do you see in this design that could be emphasized in a new way? I think it would be cool to make one more similar to the original layout (with the individual colored humps), but turn half of the blocks so you get an oval shape. Can you imagine that? By playing with layout like this, not only do you get to make a really unique quilt, but you can use a pattern more than once. 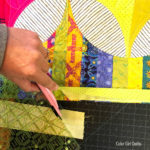 Next time you start a new quilt, try drawing out the blocks and playing around with colored pencils or markers and look for shapes you might not have noticed at first glance. 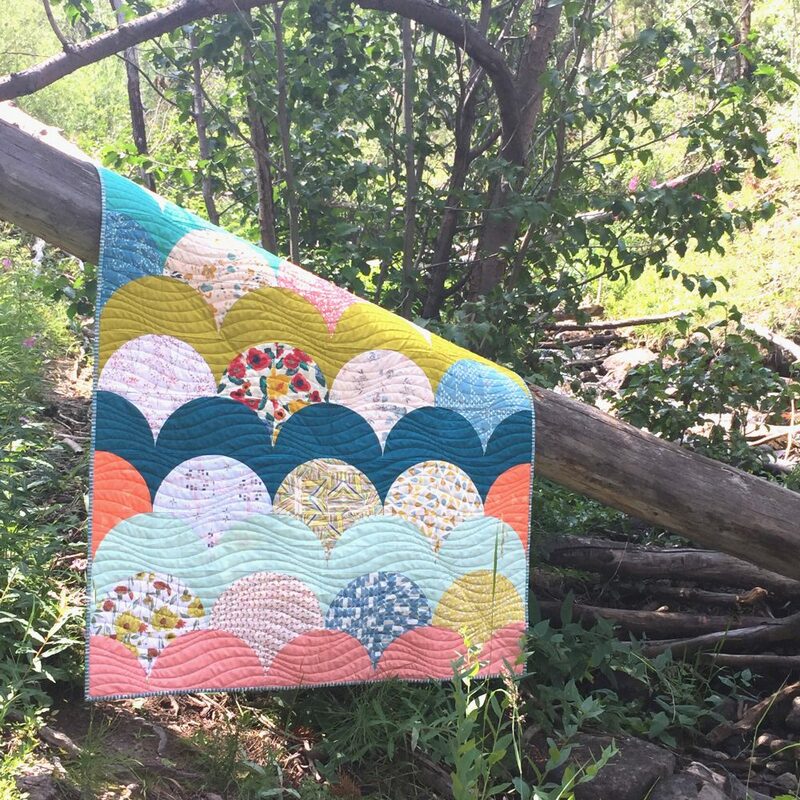 Stay tuned and I will publish a guide to making your Mermaid quilt like this version, with fabric and cutting instructions. Get specials (free patterns!) and news right in your inbox. Be sure and sign up for my mailing list. Beautiful! 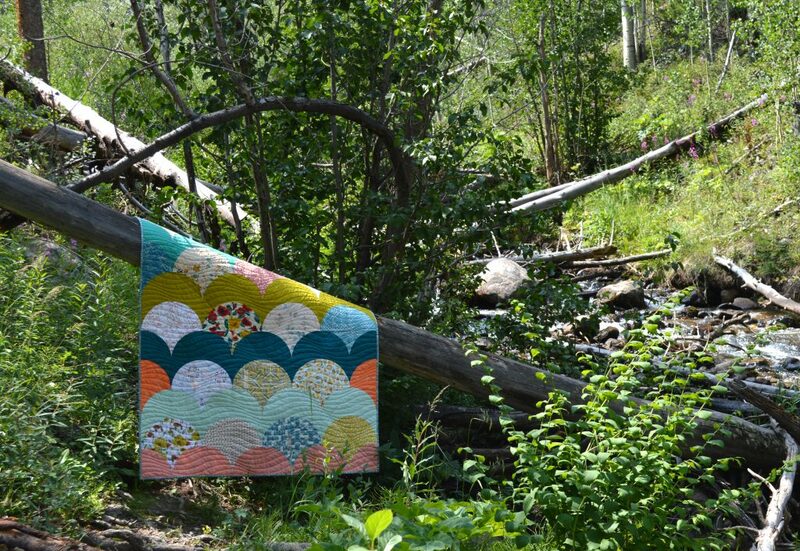 And I love the gentle wave quilting. 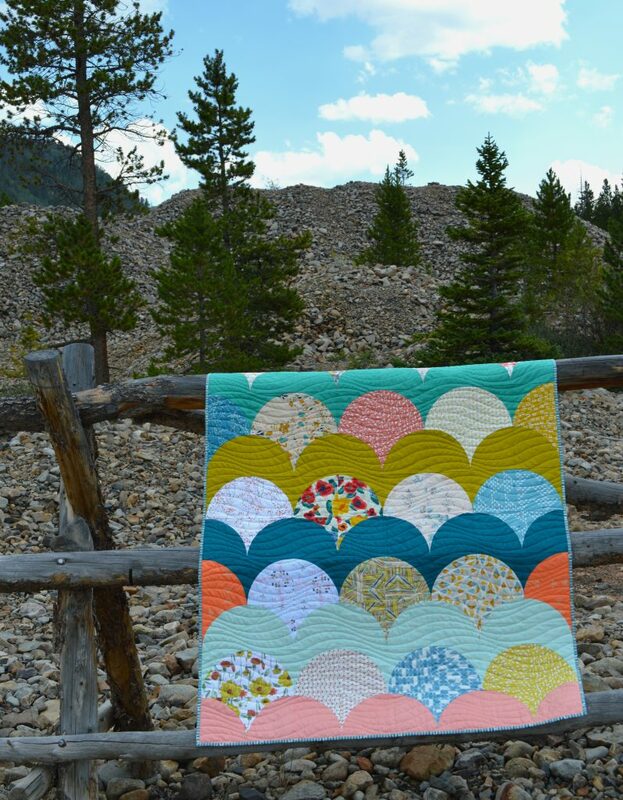 It’s perfect for a “mermaid” quilt! Very pretty love the colors. LOVE! What color are the solids you used?